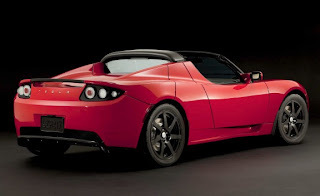 Tesla Motors has delivered more than 1,500 Roadsters worldwide, a significant milestone as the automaker's momentum builds in North America, Europe and Asia. The fleet of Roadsters spans more than 30 countries. They have accumulated more than 8.5 million miles (14 million kms) in real-world driving, saving 415,000 gallons (1.6 million liters) of gasoline and more than 22,000 barrels of oil. "The Roadster has earned global appeal. Our latest delivery milestone proves the Tesla is raising the bar for EVs," said Tesla co-founder and CEO Elon Musk. "The Roadster's advanced electric powertrain is the foundation of Tesla's success." The milestone comes after a banner year for Tesla, whic acquired an assembly plant in Fremont, Calif., and forged strategic partnerships wit Toyota and Panasonic. Tesla also became a public company in 2010. Tesla also launched the next-generation Roadster 2.5, demonstrating Tesla's continuous innovation and close feedback loop with its engineers and customers. Tesla opened its first Asian store in October; the showroom in Tokyo's Aoyama district has the highest foot traffic of any Tesla store worldwide. In 2010, Tesla delivered cars in more than 30 countries – from Singapore to Switzerland. The most northerly Roadsters are in Narvik, Norway, 140 miles (220 kilometers) north of the Arctic Circle.